One of the biggest mistakes that I commonly see being made by affiliates today are the types of websites they build. One of the top reasons that most beginner affiliates fail is that they do not start off by building a high-quality website and that helps their visitors instead of selling to them. Here are the top 7 beginner affiliate marketing mistakes to avoid on your site or blog. One of the most common misconceptions that beginner affiliate marketers have is that in order to be a successful online marketer, they have to fill up their website with various banners and ad little to no content. The truth of the matter is that if you create your site to be a banner farm, you will never make any sales unless you decide to buy products through your own links. The best thing that you can do is provide a good visiting experience for your visitors and give them high-quality content that will help them rather than sell to them. When you jump into the world of affiliate marketing, you need to remember that you are running a business and from time to time you are going to need to purchase something that your business needs in order to thrive. One of the common mistakes new affiliate make is using free subdomains instead of investing in their own URL. With your own URL you will not only look like a professional company, but you will also be able to upload whatever it is that you want on your site. Most of the time subdomains will have full rights to the content you have created and that can be taken away at any time. It’s best to avoid this and invest in your own domain. While there are very few website builder out there that affiliates can use, I would recommend against using any of them simply because the templates that can be used with these builders are not really ones that affiliates can benefit from. The only website builder I recommend is WordPress and you can use free or paid templates to build your niche site. Just stay away from the other free website builders. This is perhaps the biggest mistakes new affiliates make when they entire the online world. Their primary goal is to make money, not help people when in fact it should be the other way around. As an affiliate your primary concern should be to help the people that visit your site. That is why you should ALWAYS build high quality and informative content on your site so that your visitors can find the solution to whatever problem they are handing. One of the common things that I see with new marketers is that they try to push their affiliate marketing products on people and that is it. To succeed online you need to fill your site with valuable information that is relevant to your niche and worry about the products you are selling later on. In order for Google to continuously rank your website for the keywords you are targeting, it is always best that you update your website as much as possible. The more you update your site, the more visitors you will have and the high your sites ranking will be. As a general rule I recommend updating your website no less than 2 times a day, each and every day. Once Google begins to notice that you are adding content to your site on a regular basis, they will give your site more authority than those sites that are only being updated once a week. Many new affiliates believe that all they have to do is update their site once a month and their site will continuously make them money and this is not the case. To be on the safe side just update your site with relevant content twice a day. Ok, I know I am not the only one to have seen this before where you go onto a site and are bombarded with ads on nearly every corner of the site. Not only is this annoying, but it also slows down the speed of your website, making it nearly impossible to browse. Stick to the basics. If you are going to monetize your site, don’t overdo it. One to two ads are good enough. 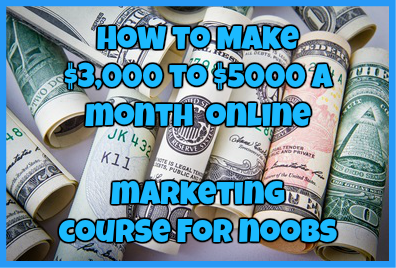 This is perhaps the most common and worst mistake that any beginner affiliate can make simply because they begin to lose out of a lot of potential money before they even get started. The first thing after you begin creating your first dozen pages and posts is to immediately set up a email sign up sheet to gain subscribers to your site. Because you can keep those who are already engaged on your site, teach them a couple of things and eventually sell your particular product to them. There is a saying, “Your money is in your list” and that is 100% true. Without an email list you will not make money online. Plain and simple. I hope this short list of beginner affiliate marketing mistakes to avoid will help you not only become a better affiliate marketer, but also help you to become a successful one. 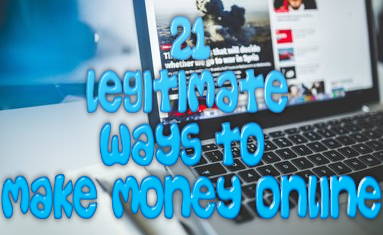 Avoid these mistakes and you can rest assured that you will begin to make real money online!